• incur very little or no permanent debt. However, scattered site rental development is by its very nature scattered with each unit unique. This adds cost to every phase of development and management, which means that most of the above described project elements would be somewhat compromised. Breaking even on a scattered site rental portfolio is often considered success. If you can cover staff and operating costs, debt service, and reserves for future needed capital improvements, then that may be all that you can expect. It may only be possible to earn cash flow beyond the break-even point if the units are extremely well-managed and they carry little or no permanent debt. An example of an organizational goal that would be a better fit for scattered site rental development might be something like “to make good use of existing housing stock”. That being said, there are ways to mitigate some of the costs of developing and managing this type of project, and to make it more cost effective. For example, developing a protocol to use uniform components, where possible, can help to bring down both development and maintenance costs. Everything from a uniform brand, type and color of paint to the use of a standard bathroom faucet across all units will help to achieve this goal. It will also be necessary to cluster units to some extent and develop units at enough scale to realize some economies in order to be successful. Scattered site rental development does not make sense everywhere. For example, in redevelopment areas, where blight and abandonment are pervasive, it would not make sense to invest in a scattered strategy, because it will not be sufficient to reverse the neighborhood decline and will leave households with insufficient services. In contrast, a tipping point neighborhood, where there has been some marked decline and vacancies, but where the neighborhood is still vital, may be a perfect place for a targeted strategy of scattered site rental development. In this case, the most blighted houses can either be rehabilitated or rebuilt, adding to the viability of the neighborhood. This effect will be strengthened if other neighborhood revitalization strategies or economic development plans are also being implemented. Incongruity Between the Characteristics of Anticipated Tenants and the Units Developed. It is important for the units being developed to be suitable for the anticipated tenant population. It will first be important for there to be an understanding of who your likely tenant will be. Market studies, an in-depth knowledge of the community, clarity on project funding eligibility requirements, and prior scattered site rental development experience are all means of obtaining a good understanding of what characteristics your tenants are likely to possess. A lack of understanding or an inability to meet tenant needs can lead to increased vacancies and a less profitable portfolio. On the other hand, having a clear understanding of likely tenant characteristics can positively influence your choice of unit location and size, the number of bedrooms and bathrooms in each unit, the types of amenities and appliances that you will offer, your selection of materials, and decisions about needed services. One organization told me that their most common tenant was a single mother with children. One amenity that they looked for was a fenced in backyard, and a kitchen window looking out over that yard. They also ensure that there are affordable daycare services in the area. If your anticipated target population will include elderly or disabled persons, then a different range of amenities and services will be necessary. For example, easy-to-grip and turn door handles and water faucets, grab bars in bathrooms, accessible doorways, and no-step entrances would be more important. Services designed specifically for the elderly would also be needed, such as bringing in hot meals and providing transportation to doctors’ offices. Another location issue that can be difficult is convincing the neighbors that what you are doing is in the community’s best interest. Proper screening of tenants is important. 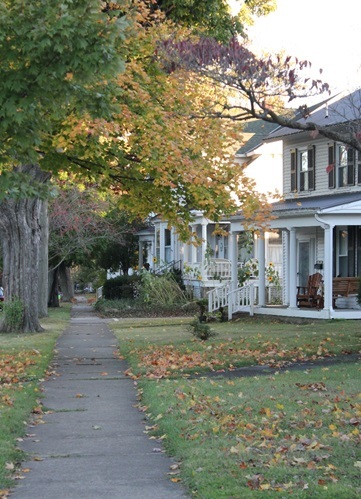 This neighborhood perception can also be exacerbated if properties are not well-maintained. Ensure that you have good systems in place for lawn care, that tenants have a place to store what might otherwise be left out in the yard, and that your organization develops a reputation as a good landlord. The most difficult project phase to fund is often pre-development. Yet covering these costs for things like architectural and engineering fees, site acquisition, market studies, and applications for funding are critical in determining project feasibility. Funders are often reluctant to cover these costs, which they see as high risk, since the project may not move forward to completion. Some organizations with financial strength may have internal financial resources or lines of credit that may meet this need, but most small non-profits do not. It may also be possible to build a pool of funds with proceeds from successful projects, but most organizations will need some mechanism for early predevelopment financing. Some state and/or local government agencies offer financing that may be used for this purpose. Community Development Financial Institutions (CDFI) may be another potential source of funding. You should familiarize yourself with the funding options available to you, including foundations and other non-conventional sources. You should also become educated regarding local programs and policies, which may have a sizable impact on your project. What services are offered by other agencies in your targeted area? What laws and regulations will affect your project? Drafting a proforma (hypothetical/estimated operating budget based upon industry knowledge and best practices) and a construction/development budget for your project should begin at project conceptualization and continue to be refined as you gain additional information and get more accurate numbers. At this point, it will be necessary to have experienced staff on board with knowledge of both rental housing development and financing of rental projects in order to make the critical decisions needed along the way. To a certain extent, good management and maintenance practices are necessary for all rental housing development. Tenants often do not care for units the same way that they would if they were owners, and some people may not have learned how to properly care for a house. Anyone who has managed rental property for any length of time has horror stories to tell of vandalism and other property abuse. However, my experience has been that even well-meaning and conscientious tenants can cause substantial harm to a unit. For example, I have seen tenants who tried to conduct their own repairs, and actually caused considerable unit damage. I have also seen tenants cooking methods lead to significant maintenance costs. All of these issues can be exacerbated by scattered site rental development for a couple of reasons. First, because it is impossible to have an on-site manager or to keep as close an eye on each unit. Second, because the travel time between units adds to the costs of both managing and maintaining the units. Management of units will require a commitment of time and resources beyond what you will anticipate. Leadership and planning are essential factors for success. Every detail must be systematized, carefully managed and executed. In addition, staff must be extremely mobile. Planning for maintenance really begins with the proforma, in which adequate operating and maintenance costs are factored in, along with adequate reserves for needed capital improvements. In addition, ensuring that units are well constructed will help to keep maintenance costs down. Maintenance should be more scheduled than reactive, a maintenance schedule should be adopted and followed, and regular unit inspections should be conducted. Ensuring that housing components are durable will be particularly important. For example, it is important for flooring to be both attractive and hard-wearing. Ensuring quick unit turnover at vacancy is also very important, and can reduce costs from vandalism and increase rental income. Quickly readying units and getting them back to producing income requires adequate operating funds, reserves and maintenance personnel. Managing the assets and property of scattered site rental units has distinctive difficulties. These unique challenges require organizations that are serious about investing and operating a portfolio of these units to honestly assess their capacity and to develop the needed proficiencies. Failure to do this can potentially lead to financial ruin. One way to strengthen capacity is to find partners to meet internal competency gaps. However, finding for-profit management companies who can effectively manage dispersed units for a cost-effective fee is difficult at best and often impossible. To manage the assets, you must have a management team in place that can continuously monitor the financial health of the units, ensure that they are properly maintained, and to ascertain that the units are operating in accordance with all funders regulatory requirements. In addition, you must have adequate staff with the skills and training needed to execute the various functions, and a means to pay for the needed staffing. Scattered Site Rental Development is difficult and costly to execute, yet it serves a useful purpose in the provision of affordable housing and the improvement of some neighborhoods. It has also proven to be a useful tool in the toolbox of certain agencies who have discovered that we cannot make everyone a homeowner, and that creating rental opportunities in single family homes has value both for the community and for the households who would live in them. If you choose to undertake this difficult housing strategy, it would be well to consider the various challenges outlined in this article. For additional information, I would recommend a review and adoption of the much more detailed information presented in the “Scattered Site Rental Toolkit”, a model business plan for this activity at: http://www.stablecommunities.org/ssr/0/SSR_Index.htm, which was developed by colleagues from Capital Access, Inc. and myself for NeighborWorks America. If you need assistance in planning for or executing this activity, you may also contact our team at https://harsanyassociates.com.